4k00:103d rendering of shining multicolored pyramids with the symbols of chemical elements moving up and down in the black background. They create the mood of optimism and innovation in seamless loop. 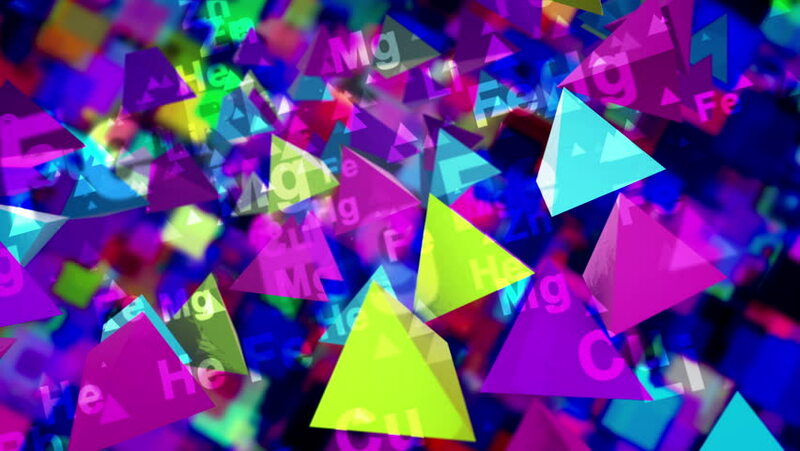 4k00:103d rendering of colorful pyramids with the signs of chemical elements turning down in the black background. They create the spirit of cheerfulness and scientific inspiration in seamless loop. hd00:19Broken Glass triangles gradient background. VJ Seamless loop background. hd00:10Shining Stars VJ Loop. It's perfect for use with New Year videos, Christmas projects, on VJ performances, party or celebration videos.